Sydney is an iconic city, not just in Australia but throughout the world due to its iconic landmarks, beautiful people, and sandy beaches. Sydney mixes the history of The Rocks, city life in the CBD with the relaxed trendy vibe of Bondi Beach. In the city, you’ll find awesome club nights hosted by Pacha, pool parties at Ivy and the oldest pubs at The Rocks. 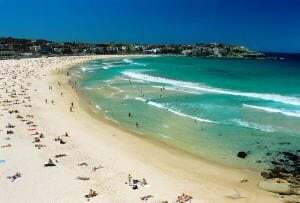 Bondi and it’s cousin, Manly on the north shore has some of the best beach bars in Australia, including Bucket List and the Wharf Bar. Whether it’s for bucks, hens, footy trips, cricket trips, netball trips, snow holidays, group holidays, nye, schoolies, golf trips or just a party holiday with your mates, we have you covered. An extra 20,000 condoms were ordered for athletes after they ran out of the initial 70,000 during the Olympics. Since then, an order of 100,000 condoms is the norm. While playing cricket for Australia in 1989, David Boon is said to have consumed 52 cans of beer on a flight from Sydney to London. In 1957, students dressed as pirates boarded an American War Ship and announced via the PA system that the vessel had been captured by Sydney University pirates. Alarms for atomic and chemical attacks were sounded, arousing the crew from their bunks, who escorted the students off the ship. No charges were filed. Catching the ferry to Manly for the night gives you unrivalled views of the Opera House and the towering Harbour Bridge. Be prepared to be blown away by the visual impact of this glorious city. Not only thanks to its beautiful beaches and world-famous harbour, but Sydney is also full of visual splendour. National parks surround the city while the most picturesque beaches are found on its shores. The local wildlife isn’t just confined to the national parks; the definition of a concrete jungle could certainly be used to describe Sydney in a very literal sense. Possums, over-sized spiders, cockatoos and giant fruit bats scurrying, scuttling and flying around the city are common sights. After a day exploring the outdoors, you won’t be stuck for evening activities, either. World-class restaurants and glamorous bars are in abundance around the city, where music and sports events are also a regular occurrence. Of course, you can’t talk about Sydney without mentioning its most famous landmark: The Sydney Opera house, with its sail-like design catching the eye on the harbourfront. The harbour city is most certainly energetic, some may even say brash, but the energy is filled with ambition and optimism that never fails to charm its visitors. Just like the dazzling fireworks displays here, Sydney is boisterous, dramatic and most certainly in your face but it also has soul and charm in abundance. 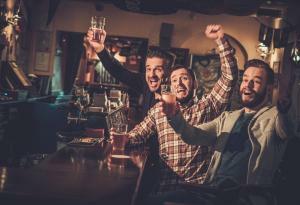 Also, check out-out our top 10 Sydney bucks party ideas blog post for more ideas.